Already, the Ford F-150 Raptor is a capable off-road truck you can take just about anywhere. What’s good is getting even better, because the 2019 Ford F-150 Raptor is getting a series of upgrades that will make it more capable. You’ll find that your Southern California Ford Dealers have the Ford Raptor truck in their inventory. 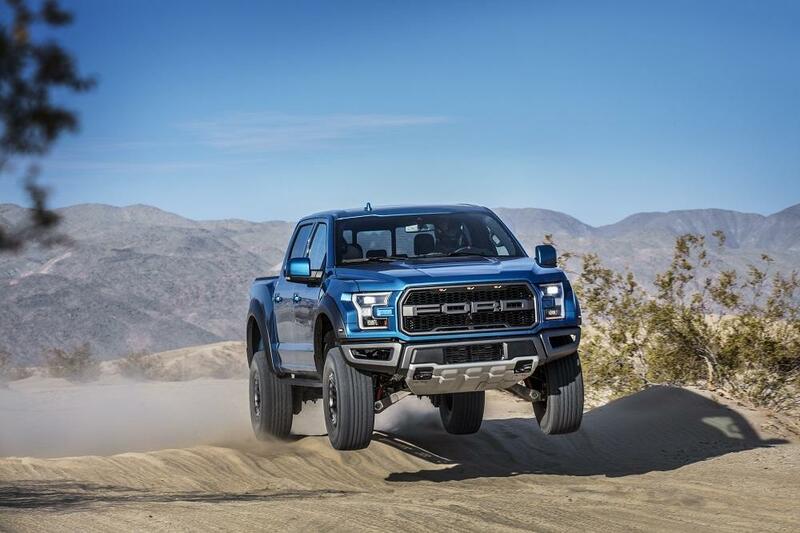 One of the areas where the 2019 Ford F-150 Raptor improved had to do with the suspension, after all - this system plays a key role in traversing trails and any difficult terrain. If you aren’t aware, the Ford Raptor already has an impressive set of FOX internal bypass shocks, which have served owners well and have also endured punishing off-road races. Ford Performance collaborated with FOX to push the shocks to a new level of performance. react to improve handling, occupant comfort, and even decrease the risk of bottoming out. No other truck in the Ford Raptor’s class has this kind of suspension, making this pickup uniquely adaptable to anywhere you want to take it. This new technology helps the Ford F-150 Raptor better utilize its full suspension travel, which is an amazing 13 inches up front and 13.9 inches in the rear. When the truck jumps into the air, sensors detect this and stiffen the shocks for maximum performance. The system also leads to better on-road performance, with a smoother ride quality. When hitting the trail, maintaining the right level of control can be the difference between rolling your vehicle and getting safely over an obstacle. Ford has provided an advanced tool to help, called Trail Control. Designed for when the going gets especially tough on rugged surfaces, Trail Control works for navigating at low speeds of 1 mph all the way to 20 mph, depending on the position of the driveline. The system works similarly to cruise control, maintaining the truck’s speed by automatically adjusting engine power and even braking individual wheels. directs more torque to the wheels, preventing the truck from losing momentum. As the truck goes on a downhill slope, the individual wheels brake to smooth out movements and make everything more predictable. As you’re traversing through rugged territory, it’s good to feel secure in a vehicle. The Ford F-150 Raptor accomplishes this quite well with a solid structure and other reassuring features. For the 2019 model year, new seats will add to this sense of security. Completely new Recaro sport seats feature aggressive bolstering on the seat cushion and back. This available feature keeps the driver and front passenger more firmly in position, even during particularly jarring maneuvers on trails. To distinguish these seats from others, Recaro uses blue Alcantara inserts, plus accent stitching that was directly inspired by the Ford GT’s Light Speed interior. 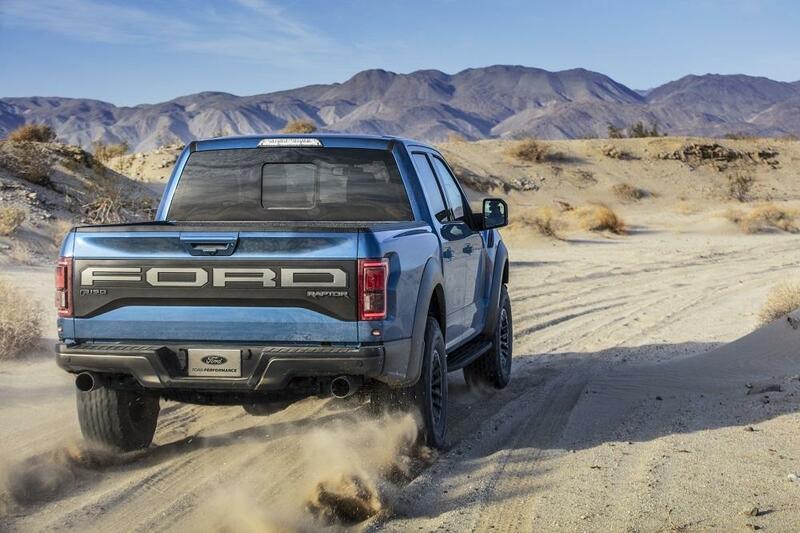 Contact your Southern California Ford Dealers for more information about the improved 2019 Ford F-150 Raptor.